Fiji Law Society President Laurel Vaurasi. While the country cel­ebrates Constitution Day today, more than 230 lawyers are participating at this year’s Fiji Law Society Annual Convention. This is at the Inter­Continental Fiji Golf Resort and Spa, Natadola. 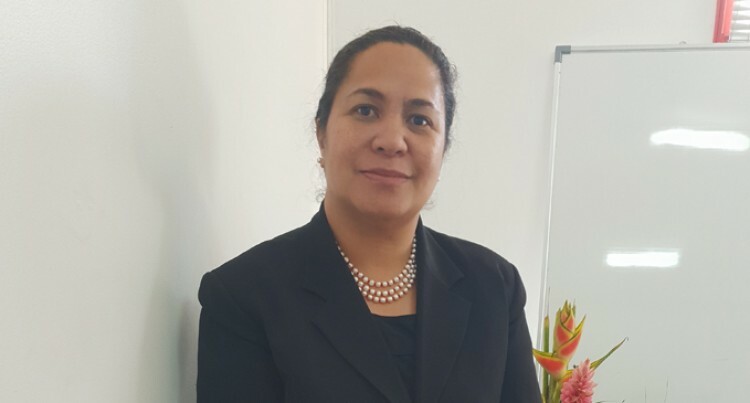 With the theme, “Rebooting the Legal Profession: embracing inno­vation”, Fiji Law Society President Laurel Vaurasi considers it pru­dent that members are prepared for changes introduced by technology and adapt to the impacts it has on the future of the legal profession. The Fiji Law Society was estab­lished in 1956 with the principal objectives as stated in the Legal Practitioners Act 2009. These are to maintain and improve the stand­ard of conduct of its members as well as promote their welfare and preserve and maintain their integ­rity. Backed by a top team, Ms Vaurasi says the line-up of speakers for this year’s convention is one that mem­bers cannot afford to miss out on. A lot had been invested in bring­ing international key speakers who are expected to be conducting vari­ous sessions during the two-day convention. This will include talks from Clau­dio Visco, the Chairman of the In­ternational Bar Association, who is expected to speak to members about where the legal profession is going globally. “The International Bar Associa­tion has more than 10,000 lawyers as members and Mr Visco will be talking about the future of the le­gal profession from an internation­al perspective,” Ms Vaurasi said. She said the session should en­courage local lawyers to increase their standards. “We cannot keep playing the blame game and giving excuses that we have limited resources. That has to stop. Each session also features senior lawyers as commentators includ­ing Armish Pal, who will be repre­senting the perspective of a young lawyer, since most of the legal pro­fession are made up of young law­yers. Chairman of the Singapore Inter­national Mediation Centre George Lim, SC, will speak about media­tion as the new game changer in dispute resolution. A representative from the Fiji Po­lice Force will speak on cybersecu­rity challenges for lawyers and law firms as well. Day Two will see the likes of Sin­gapore lawyer Lim Seng Siew pre­sent on the law and legal technol­ogy. Assistant Director of Public Pros­ecutions Dato Shyamala Alagendra will talk on prosecuting and de­fending before international courts and tribunals. Australian Special Counsel Emario Welgampola will conduct a talk on family law.